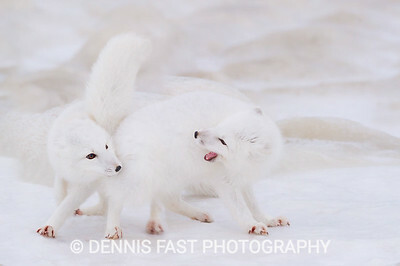 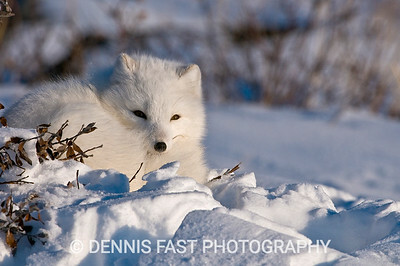 No animal in the Arctic is quicker, smarter, and more playful than the Arctic fox. 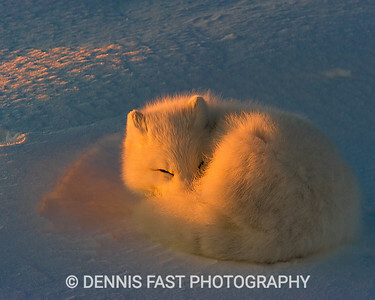 Watching them tear around like quicksilver is infinitely fascinating, and when they go to sleep you still can't take your eyes off them. 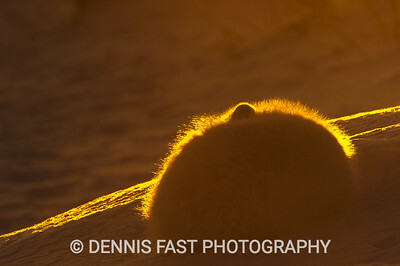 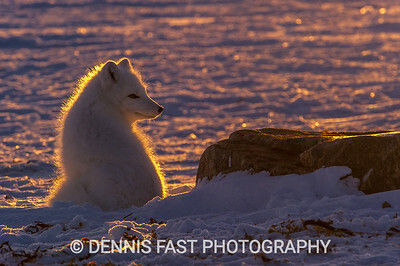 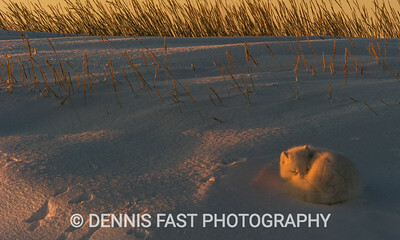 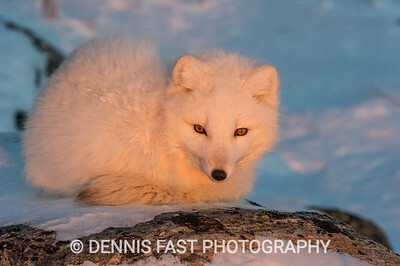 Arctic Fox (Vulpes lagopus) basking in sunset light, Hudson Bay near Churchill, MB, Canada. 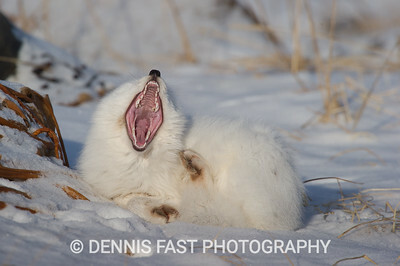 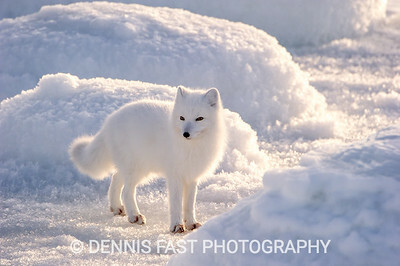 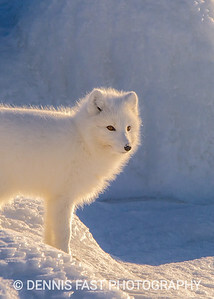 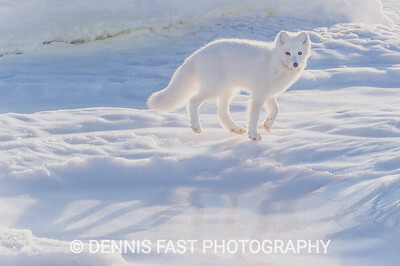 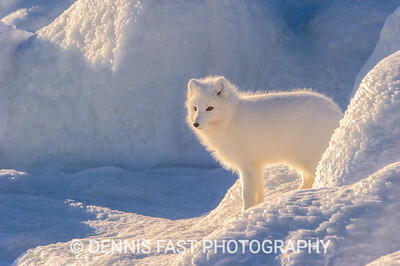 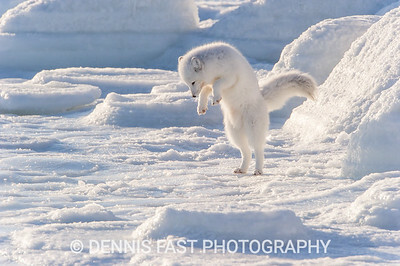 Arctic Fox (Vulpes lagopus) on Hudson Bay near Churchill, MB, Canada. 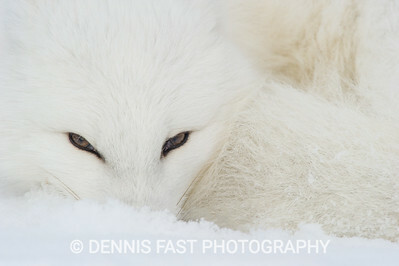 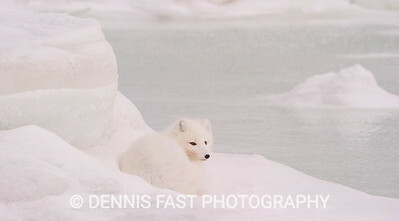 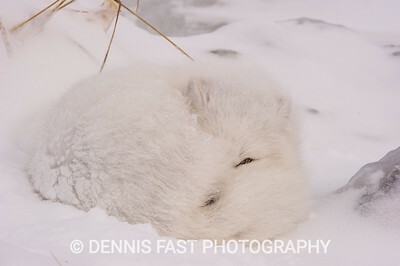 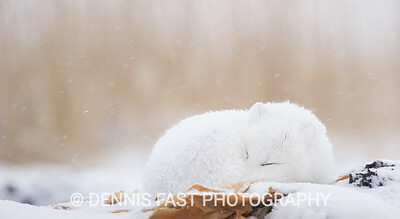 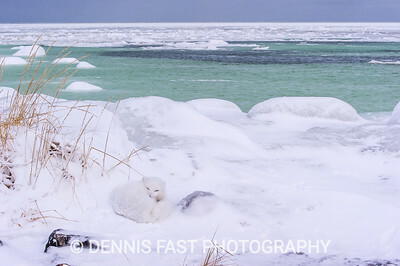 Arctic Fox (Vulpes lagopus) dozing in snowstorm at edge of Hudson Bay, Canada.